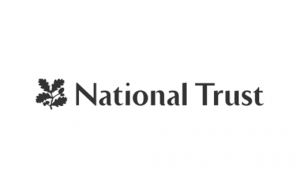 The National Trust at Coleshill are planning another event next year. This event is happening mainly due to the overwhelming success of last years event on July 4th. This info was taken from their website. It is uncertain at this time if CART will be involved. Bookmark this page on our site for more info. Witness first hand life as a trainee Auxiliary Reserve at the grand opening of a replica WWII underground operational base at Coleshill, home of the British Resistance. Commemmorate the loss of Coleshill House on the 60th anniversary of the fire. Step back in time at our nostalgic family weekend remembering the secret wartime volunteers, who trained up as Britain’s last line of defence in case of invasion. Check out the 70-year old Operational Base (OB), the Guard House and the Trust’s brand new underground Heritage-Lottery-funded replica OB. Get in the mood at our 1940’s street party with a Big Swing Band, drill practice with the Auxiliers, food, talks, art exhibition, re-enactments, entertainment, and a commemorative Church Service.